News about H+H Software GmbH and their products. Microsoft will discontinue the support for Windows Server 2008 and 2008/R2 as well as Windows 7 in January 2020. This means, that there will be no more patches and security updates to protect your infrastructure. A secure operation of your IT-infrastructure with Windows 2008 servers and/or Windows 7 clients is therefore no longer guaranteed. Please contact us for an individual offer to upgrate your IT-infrastructure. The team of H+H wishes all customers and friends a Merry Christmas and a good start into a healthy, happy and successful New Year 2019. We look forward to continuing our good cooperation next year. 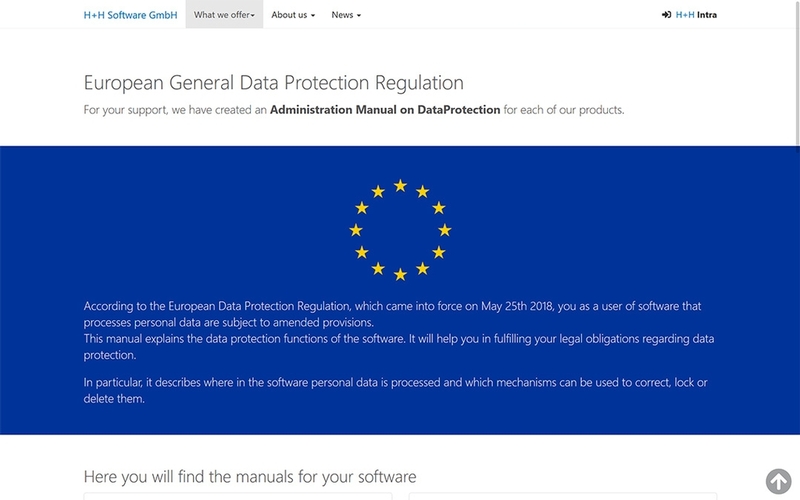 To support our customers, we now offer an administration manual on data protection for each of our products as a free service. The manuals describe how you handle personal data in the software you use in accordance with data protection regulations. Here you can download the manuals for free. In a cooperation between Citavi (Swiss Academic Software GmbH), HAN (H + H Software GmbH) and the Bavarian State Library, the flexibility of using Citavi has been significantly improved. Stored full texts (links) can completely be accessed by Citavi via HAN now. This is presently possible regardless of the location of the user (campus, home, etc.). Our development team is working hard on completing the new Virtual CD Version 11. With Virtual CD 11 the latest generation of image emulation is in the starting blocks. We will publish information regarding the release date and exciting news about Virtual CD 11 in our newsletter, which appears a maximum of 3-4 times a year. Stay tuned with Virtual CD – with the newsletter you will not miss anything concerning the new version. We are looking forward excitedly to the release date and look forward to providing you with further information about Virtual CD 11 soon. "The future depends on what we do today." 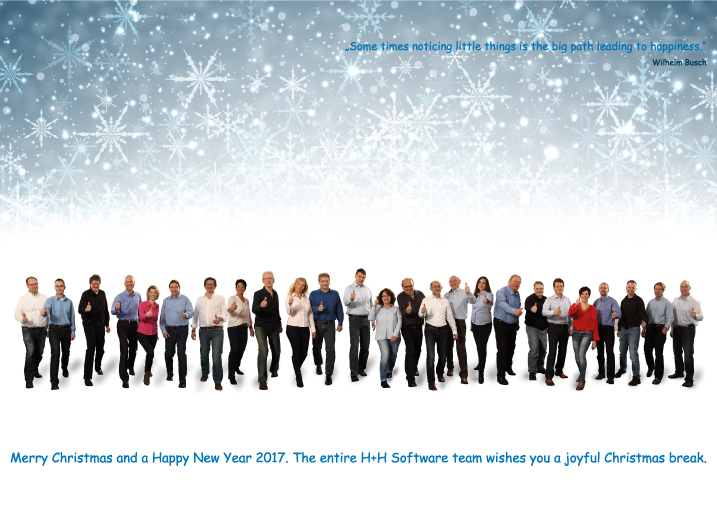 The team of H+H wishes all customers and friends a Merry Christmas and a good start to a healthy, happy and successful new year! 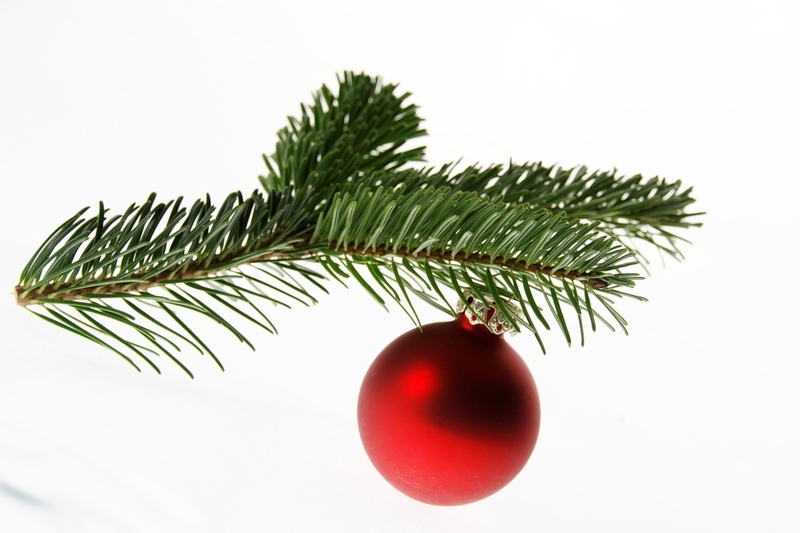 Looking forward to working with you all the year round. Polish librarians honor Zbigniew Szarejko for his services to the Polish libraries. We congratulate our employee and colleague for the award of the Medal of Honor of the Polish Librarian Association. 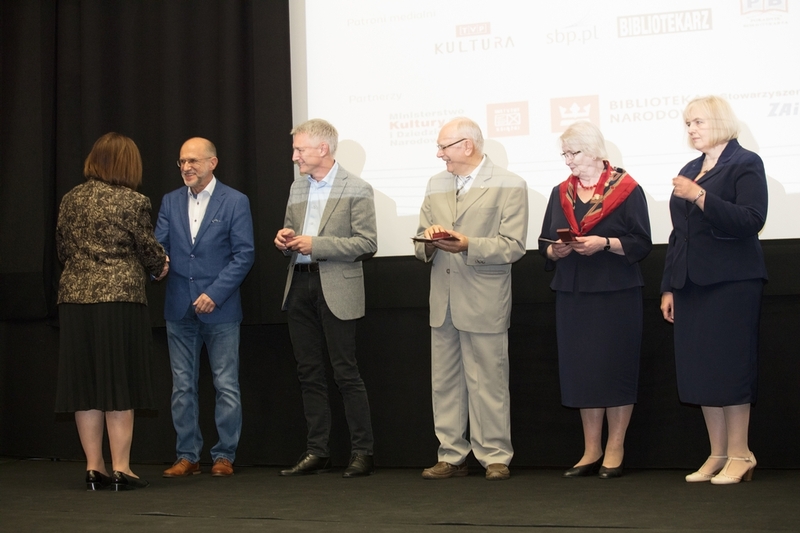 The award took place on October 27, 2017 as part of the 100th anniversary of the Polish Librarian Association in the National Library in Warsaw. The medal was presented by the chairman, Mrs. Joanna Pasztaleniec-Jarzynska. HAN now supports HTML 5 and WebSockets. 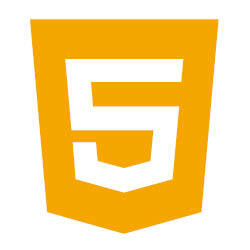 HTML 5 and WebSockets are current technologies mainly used to display multimedia content on the web. An increasing number of e-resource providers are converting their databases for use with HTML 5 and WebSockets. In order to ensure the availability of this database content for our customers, HAN now supports this technology and is the first provider to respond to this new market demand. Detailed information about the current release are here. We would like to thank all visitors for the informative and exciting discussions at our exhibition stand. We are very pleased about the consistently positive feedback on our product HAN - Hidden Automatic Navigator. To achieve this competence, H+H Software GmbH has demonstrated its technological expertise in the development and provision of business or customer-specific applications using Microsoft core technologies with high (or highest) quality standards. For our customers, this means that their contact persons at H+H are experts in the latest Microsoft technologies. 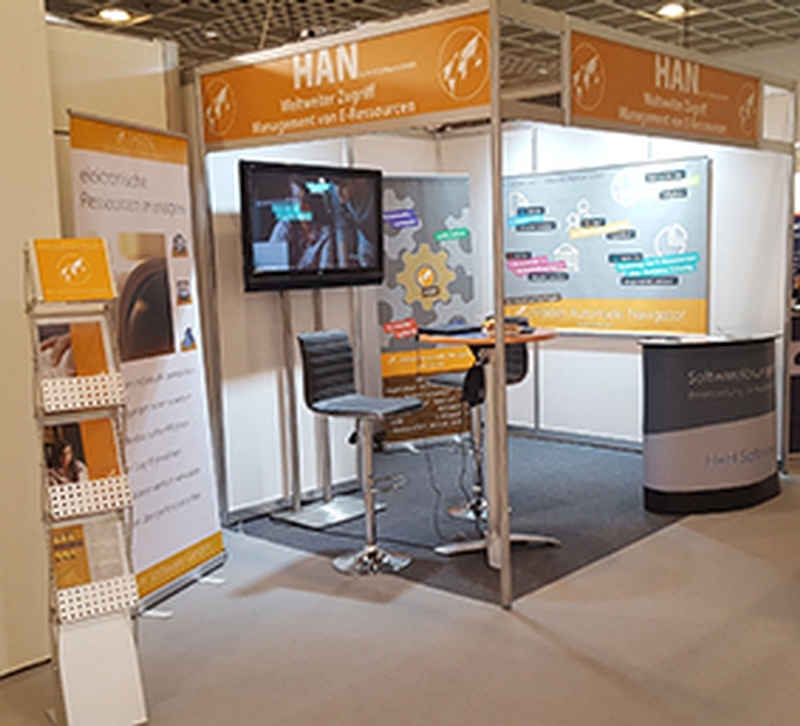 EBSCO Information Services (EBSCO) and H + H Software GmbH, the producer of the e-resource management software Hidden Automatic Navigator (HAN), announce a new partnership to provide expanded services to mutual customers. The partnership will enable mutual customers of EBSCO Discovery Service™ (EDS) and HAN to access content in a more seamless and simplified method. With the new partnership between, authorized library users will be able to access their library’s online resources, including EDS, from any location, including remotely. The integration partnership enables HAN to authenticate the user via the library system or Shibboleth independently from the location and provides access to articles. HAN uses an own proxy URL for each resource. By using the new HAN Web-API, the proxy URLs can now be retrieved automatically in the background, creating a more simplified way for users to access content and reducing the library’s administrative effort. H+H Software GmbH Managing Director, Michael Etscheid says: "The linking of HAN to EBSCO Discovery Service is a great enhancement for users. From now on, libraries are able to offer remote access to the content in EDS without any additional effort. This optimally combines the advantages of both systems. The statistical reports that can be created with HAN will also help libraries to further improve their offer." EBSCO Information Services Senior Manager, Library Service Engineering, Europe & Latin America, Claus Wolf says "This development shows how fast and flexible EBSCO can respond to customer requirements with the help of its Library Service Engineers. We greatly appreciate the collaboration with H + H Software GmbH as we have been able to drive the integration forward so libraries can take advantage of the benefits of both services." A new security release (version 4.2) is now available for HAN. Update of the database to the latest standard. From version 4.2 on new e-scripts will be created automatically in the SSL compatible mode (HAN Web-API including EZB) to avoid unsecure connection warnings in the browser. There are no longer manual customisations to execute. Bug fixes in the EZB-interface and optimisation in the HAN-kernel. We recommend to install the update soon to benefit from the new security standards. The latest HAN version 4.1.0 is now available for you. The current version contains new functions and security updates. Enjoy using our latest version of HAN to optimize your work. Merry Christmas and a Happy New Year 2017! The HAN service release 4.0.2 contains new features to optimize your work with HAN. The HAN service release 4.0.1 contains new features to optimize your work with HAN. Release 5.5 is now available for all NetMan-Products (NetMan, NetMan for Schools, NetMan Desktop Manager). The new release 5.5 offers full funcionality in network environments with Windows 10 workstations. Please contact your sales representative to discuss the necessary steps upgrading to NetMan 5.5 and Windows 10. Click here for our contact details. NetMan HTML5 Client replaces the Java RDP WebClient! After a lot of modern browsers stopped supporting JAVA-Browser-Plugins by now, Oracle will stop providing support for the JAVA-Browser-plugin at the end of this year. This means, that from that point in time the access to your IT-network and the NetMan server with the NetMan RDP Java Webclient will no longer be possible. We offer a cross-platform and safe alternative with the new NetMan HTML5 Client. The NetMan HTML5 Client enables especially for mobile end devices an optimal web-based access to applications, media and contents.